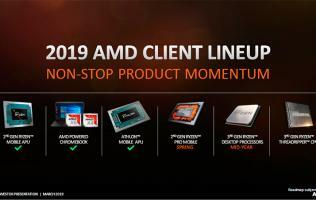 Leaked timelines for AMD’s and Intel’s 2018 product releases have surfaced online. 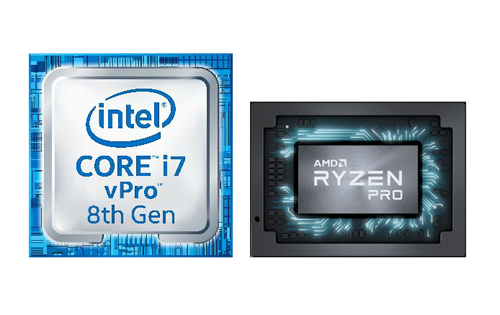 Bluechip, a German IT distributor, published the information, giving us a glimpse at upcoming chipsets and processors from both AMD and Intel. 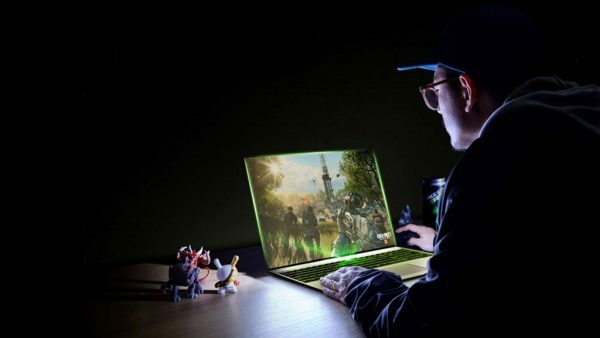 The slides here are taken from a 30-minute webinar posted to YouTube that the site hosted for its business partners. 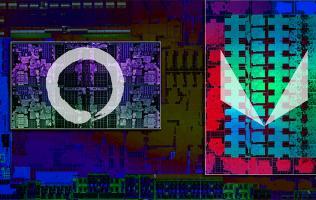 According to the slides, AMD is preparing a new flagship chipset for the AM4 socket called Z490. 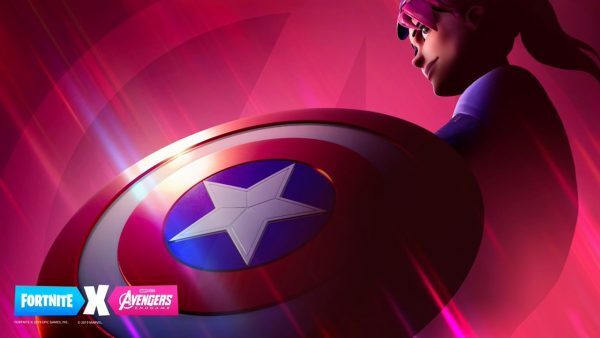 A reveal looks to be pegged for June at Computex 2018, although I’m not sure how I feel about the similarities with Intel’s naming scheme (we're also looking at a future where both AMD and Intel have a chipset called X399). 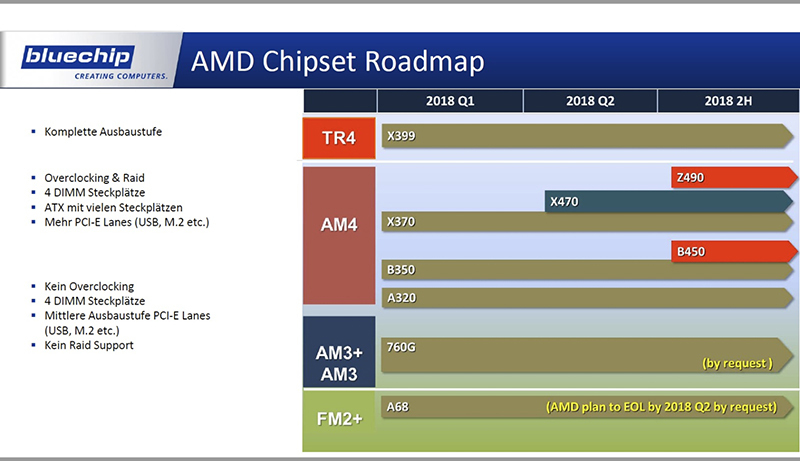 In addition, a successor to the existing mid-range B350 chipset may be in the works in the form of B450, set for release later in July. Finally, there’s mention of a “Threadripper Gen 2” that will supposedly appear in August, so we may see Threadripper’s refresh rather soon. 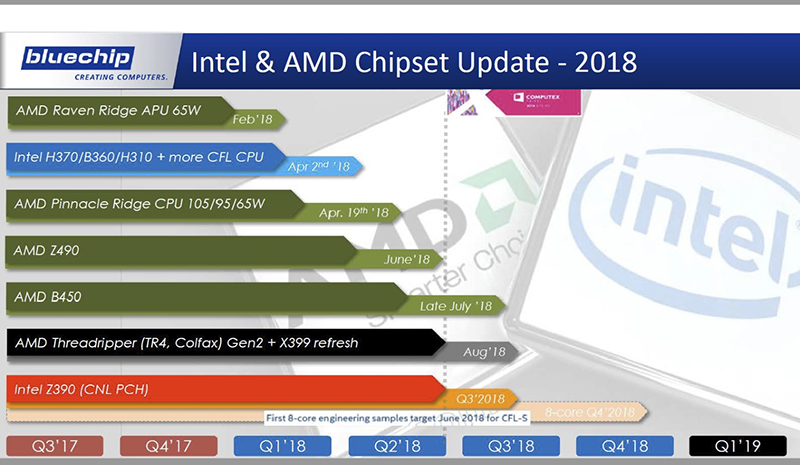 On Intel’s end, its mainstream flagship Z390 chipset – the existence of which is hardly a secret by now – isn’t slated to appear until Q3 2018. The slide also appears to confirm earlier leaks that Z390 will support Intel’s 10nm Cannon Lake processors and existing Coffee Lake chips. 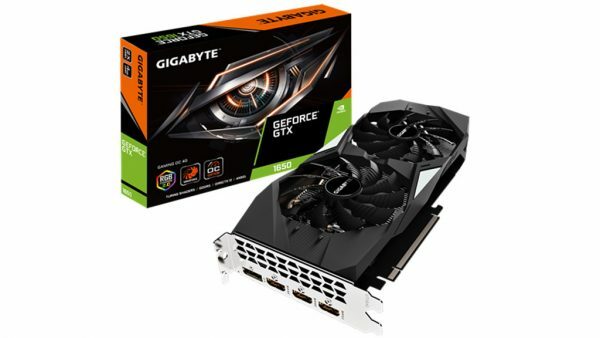 Furthermore, 8-core Coffee Lake parts are apparently scheduled to hit retail in Q4 2018. 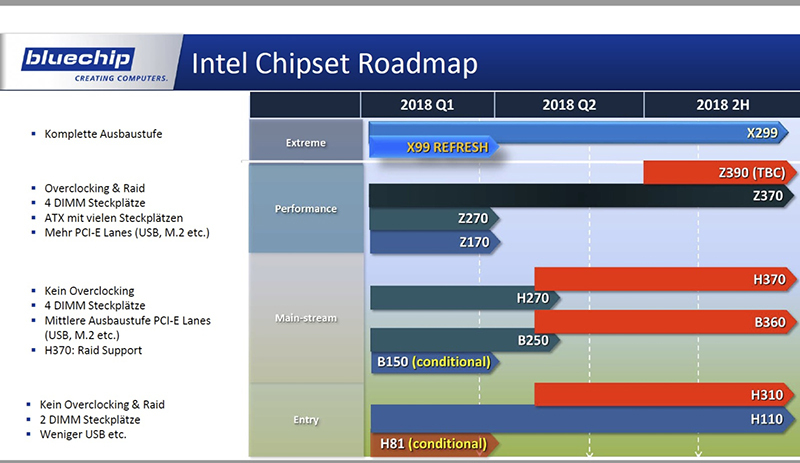 One thing that’s missing from the slides is any mention of Intel’s high-end desktop X399 chipset, which will presumably replace X299. 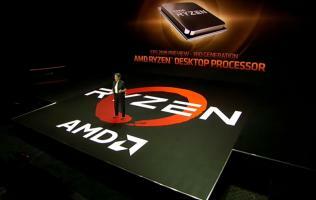 All told, the biggest news here is probably AMD’s Z490 chipset, which hasn’t been mentioned at all till now. 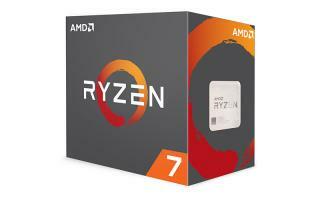 There’s no indication of how it will differ from the new X470 chipset, the current mainstream flagship, so it’ll be interesting to see what AMD comes up with.